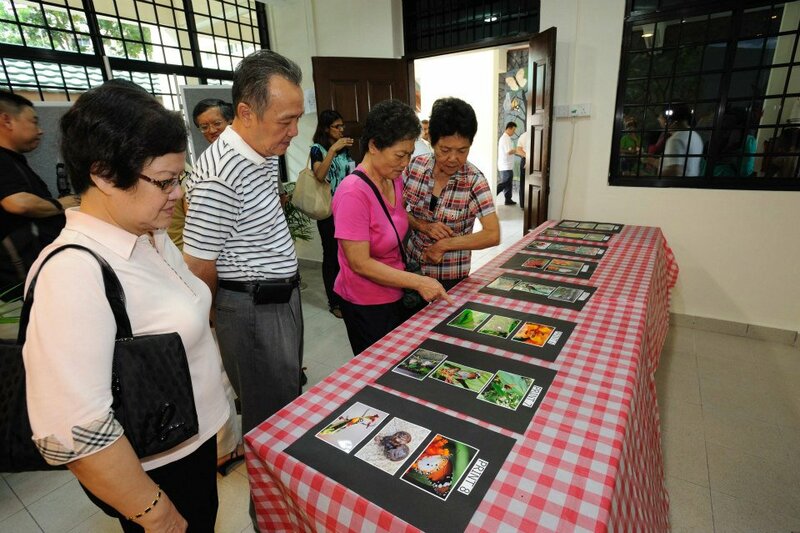 After the success of creating a new Butterfly Garden at Tampines-Changkat constituency, which was opened to the public in November last year, the group of enthusiasts under the leadership of Suzana Dawan continued enthusiastically with more roadshows at the constituency level and also at national level exhibitions like the Singapore Garden Festival. 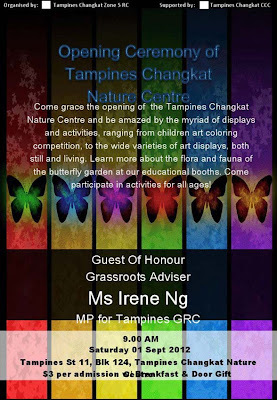 The Tampines-Changkat Butterfly Interest Group also set up their own FaceBook page to share their activities and members' efforts to improve and sustain the Butterfly Garden. 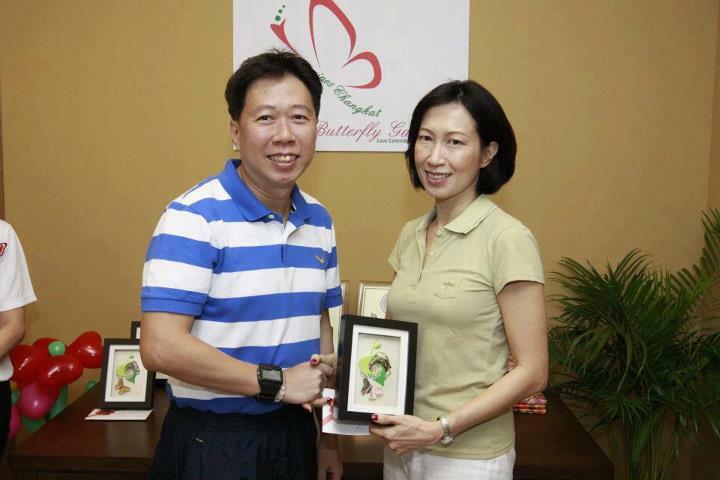 Member of Parliament Irene Ng further encouraged the members to engage and educate the community, and the Butterfly Garden had regular visiting groups from nearby primary schools and residents keen to learn a bit more about butterflies. 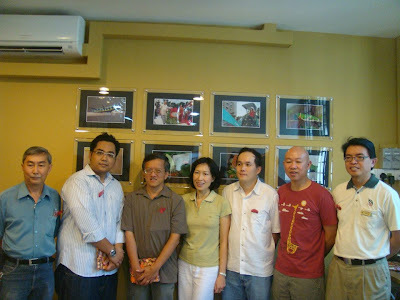 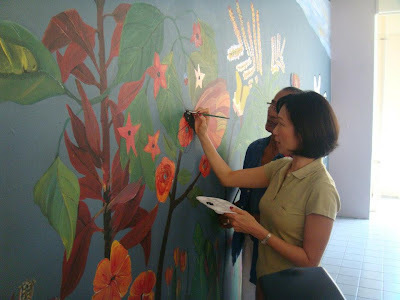 MP Irene Ng then supported the conversion of an unused facility at the Housing and Development Board (HDB) void deck at Block 124, Tampines Street 12, into a Nature Centre for the group. 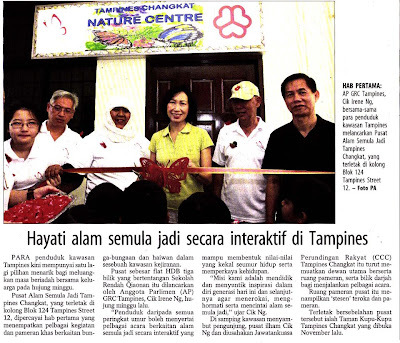 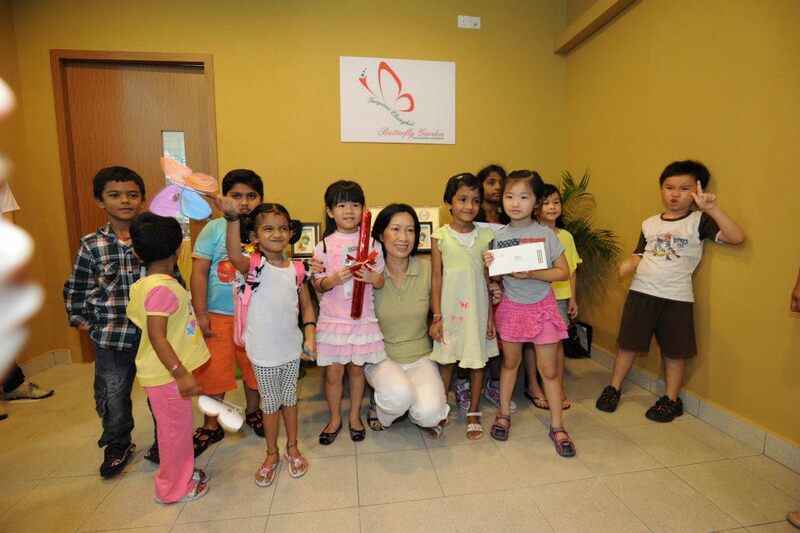 On 1 Sep 2012, the Tampines-Changkat Nature Centre was officially opened at a short ceremony by MP Irene Ng. 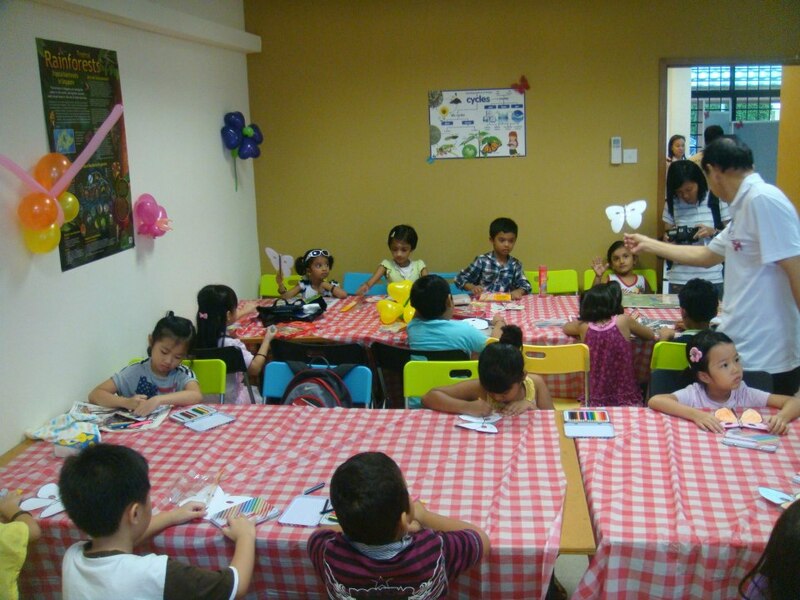 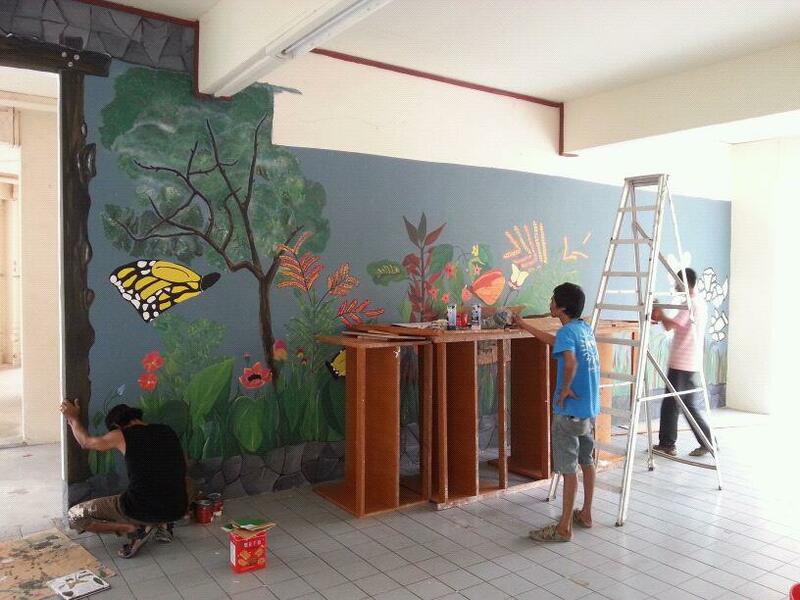 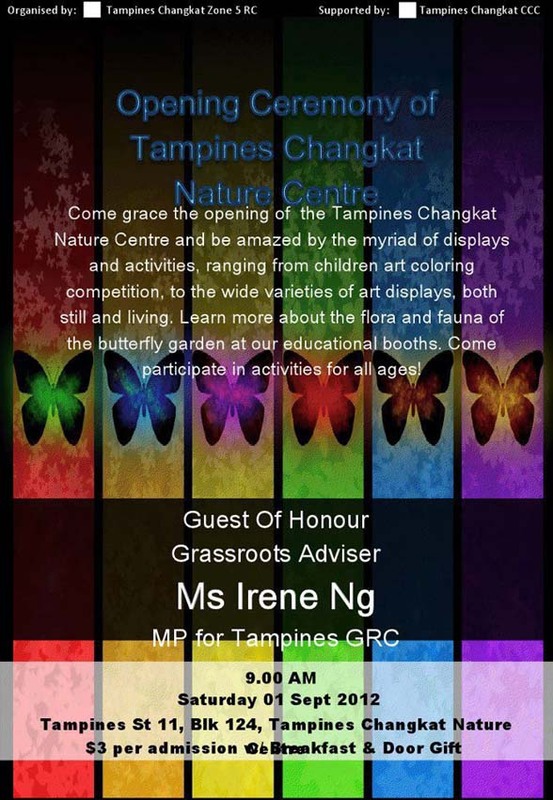 ButterflyCircle is happy to have been involved in an advisory role in some of the activities of the Tampines-Changkat Butterfly Interest Group. 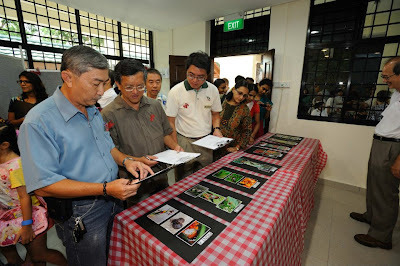 Members also turned up to support the Opening Ceremony of the Nature Centre. ButterflyCircle's mission and members work were showcased at a booth during the Opening Ceremony. 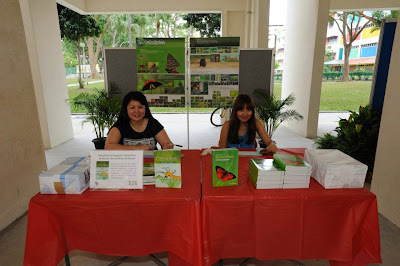 Books by ButterflyCircle members were also available for sale. The event was attended by a small crowd from the area and MP Irene Ng cut the ribbon to declare the Nature Centre open. Butterfly breeding efforts were showcased at the Nature Centre, as well as information, photographs and exhibits about butterflies. In conjuction with the opening, a Children's Colouring Contest and a Photography Competition were also organised. 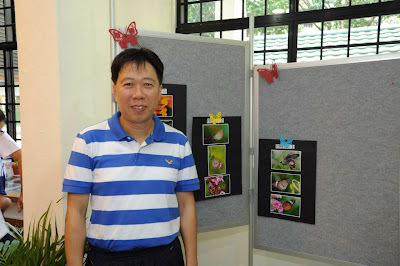 ButterflyCircle member Koh Cher Hern's submission won him the 2nd Prize in the Photography Competition. The Malay Press, Berita Harian also picked up the news and featured the opening in a short article in the following day's paper. 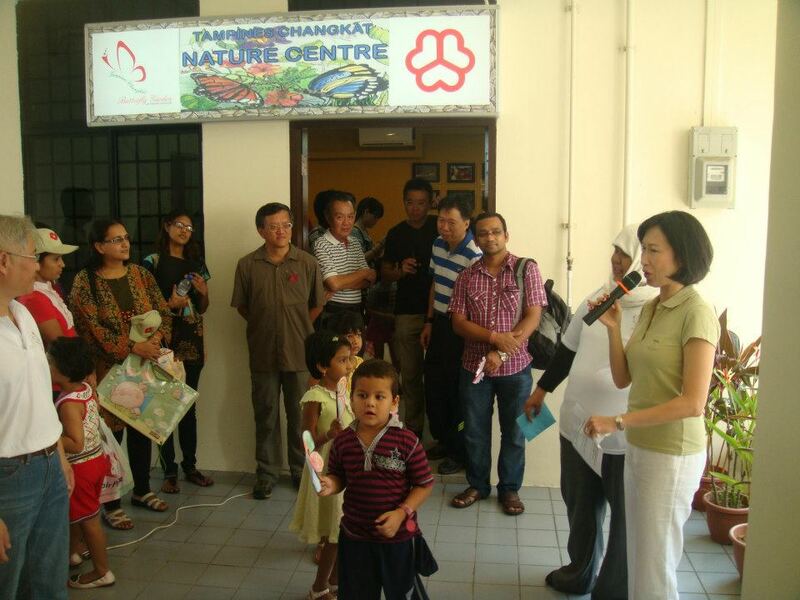 It highlighted the Nature Centre's mission to educate and inject in today’s generation as well as the next, to explore, respect and love nature. 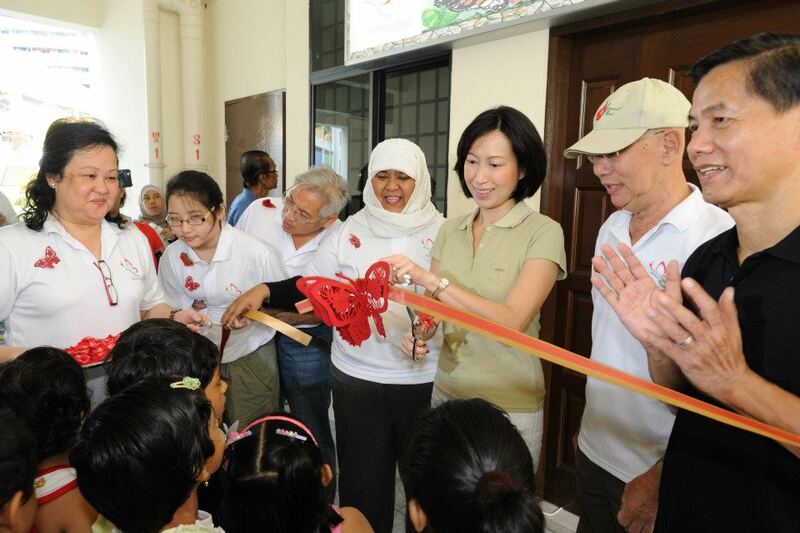 The centre was believed to be the first hub to house various activities and special exhibitions on local flora and fauna in a HDB neighbourhood. This is also to educate residents about butterflies, their caterpillars and relationships with plants. 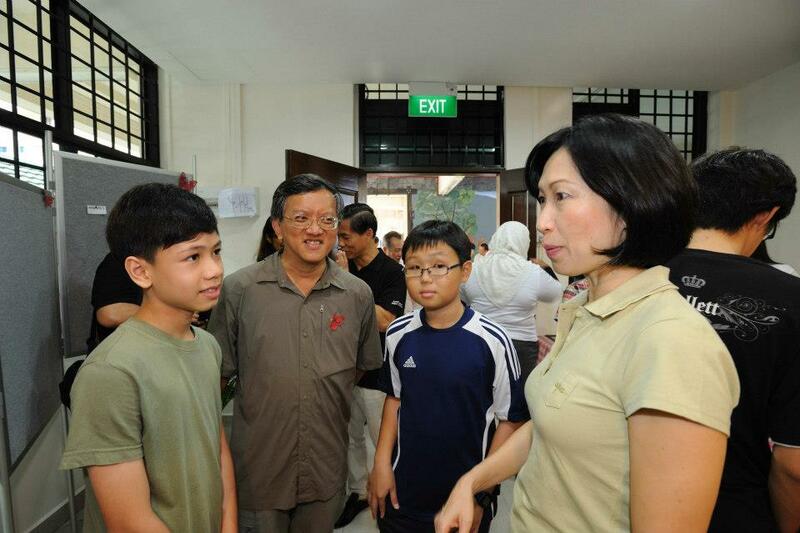 The Nature Centre is about the size of a 3-room HDB flat and features an exhibition area, a meeting room, and an general purpose area for discussions, talks and presentations. 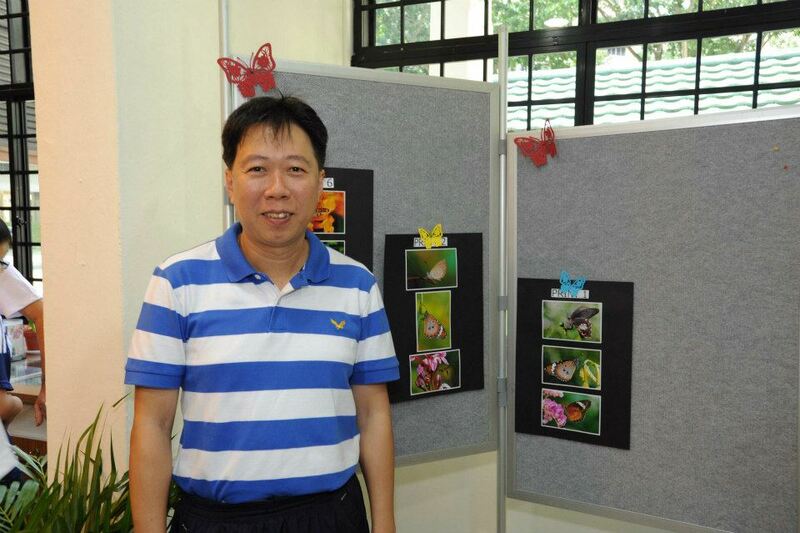 It is hoped that, at this new "HQ" for the Tampines-Changkat Butterfly Interest Group, more ideas will be conceived to promote nature- and butterfly-friendly activities and education efforts that will encourage the community to learn more and appreciate butterflies and nature in general. 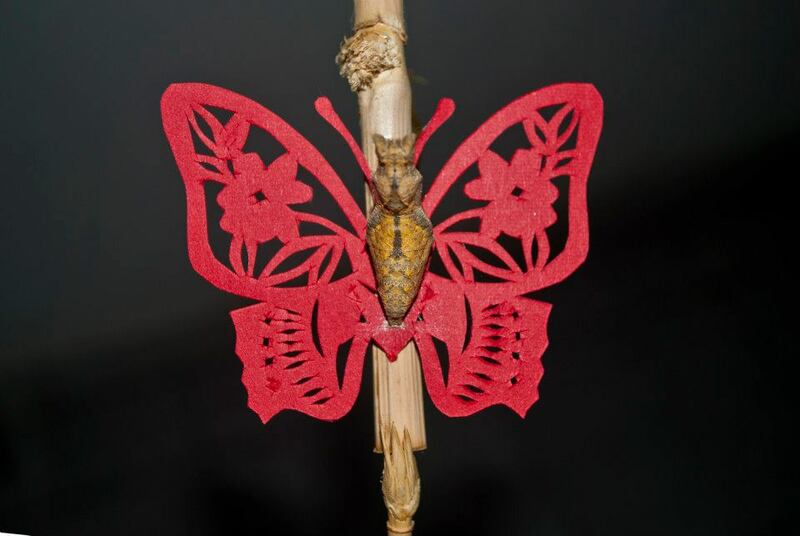 This Lime Butterfly caterpillar knows how to pupate exactly at the location that depicts its future beautiful form! 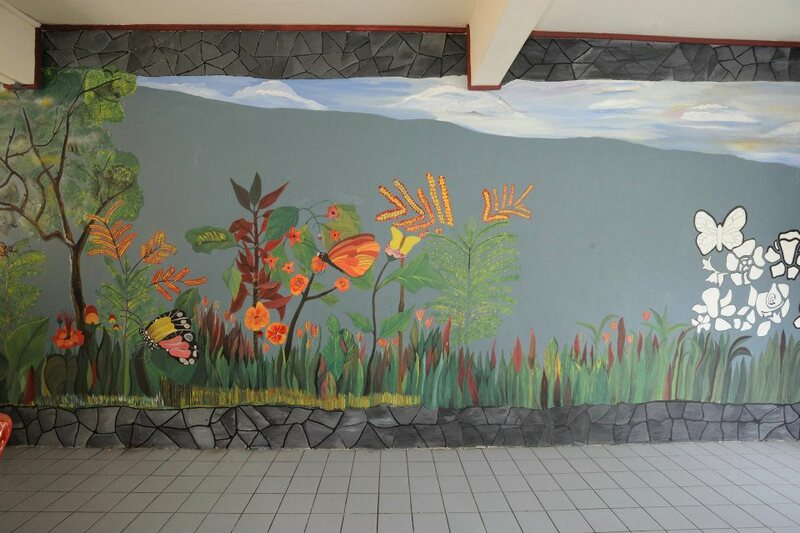 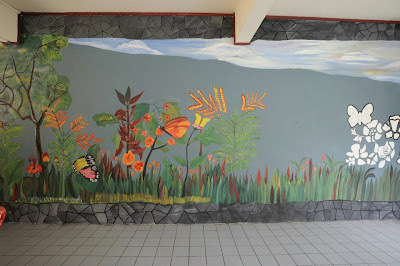 The next project would be to expand the existing Butterfly Garden's landscaping into the external areas surrounding the enclosure, and perhaps to even add in a community eco-pond to attract dragonfly biodiversity to Tampines!